On any given day, your senses will be ignited by our fine arts activities. 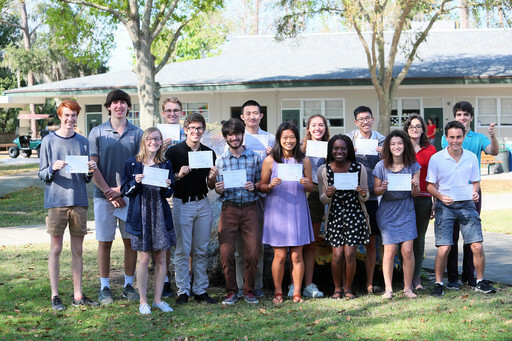 You might find our jazz band serenading students and teachers arriving at Trinity Prep; the forensics team packing up to head to another competition; harmonious notes mixing in our new, state-of-the-art keyboard lab; a steamroller creating a giant print for our new Brokaw building; or Vocal Society rehearsing. There is always something happening in the arts. Programs are available as electives or extracurricular programs, beginning in middle school. 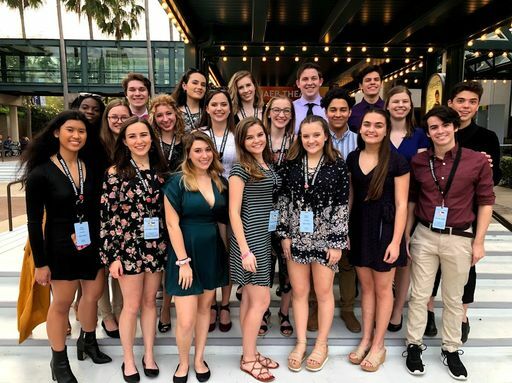 Whether a student excels at pottery, experiments with digital photography, or practices a perfect accent for a theater role, everyone can find an artistic outlet at Trinity Prep. Our programs allow students to hone their creative skills on campus and on larger stages beyond the school. 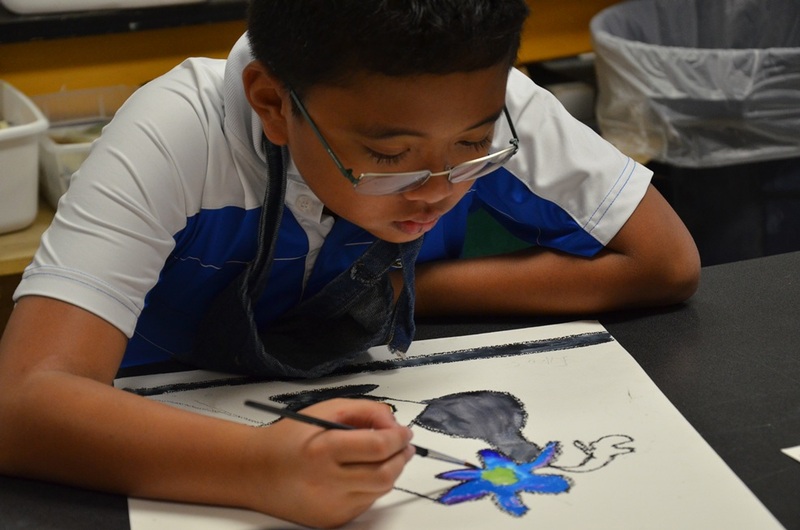 Our arts curriculum broadens as students begin their high school careers. 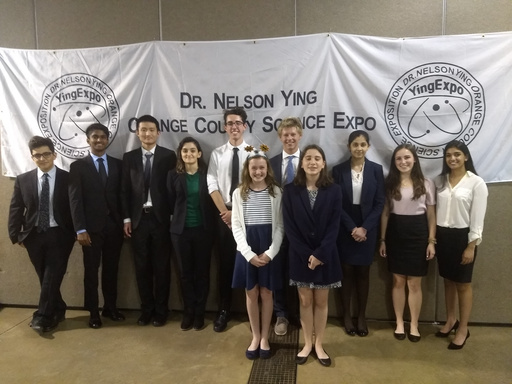 Forensics is a great way for students to work on their public speaking and debate skills, and they can get involved as early as eighth grade. Music students can choose from concert to chamber music courses, including AP Music Theory. 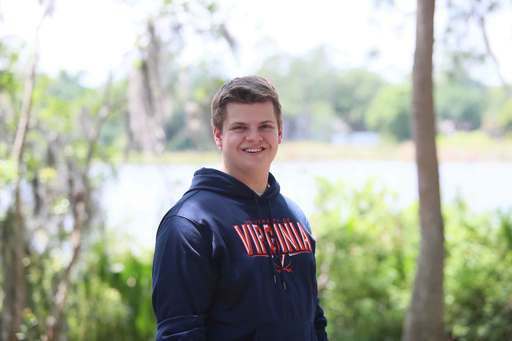 Theater provides students opportunities both on stage and behind the scenes. Our visual art programs include photography, 2D, and 3D art courses, leading to AP Art and AP Photography. Most of our fine arts teachers are professional artists themselves, who continue to practice their individual crafts while inspiring the next generation of student artists. 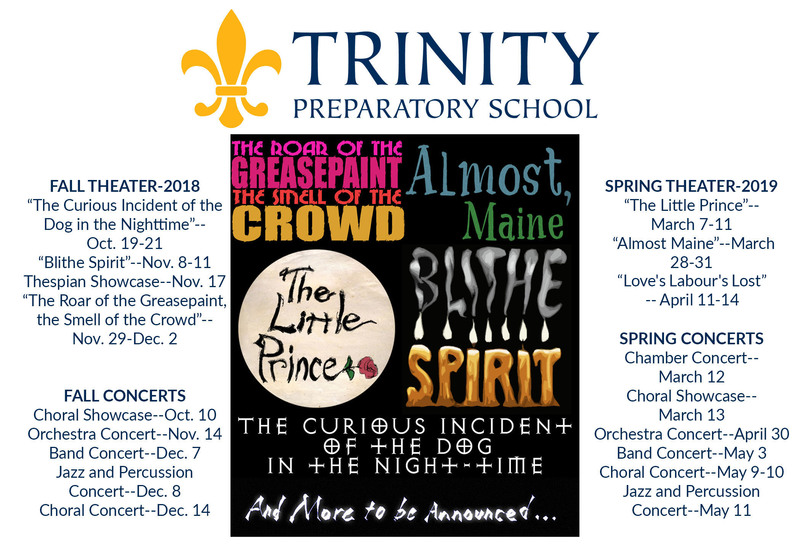 Trinity Prep parents provide support for the arts through Patrons of the Arts' publications, events, and fundraising activities.